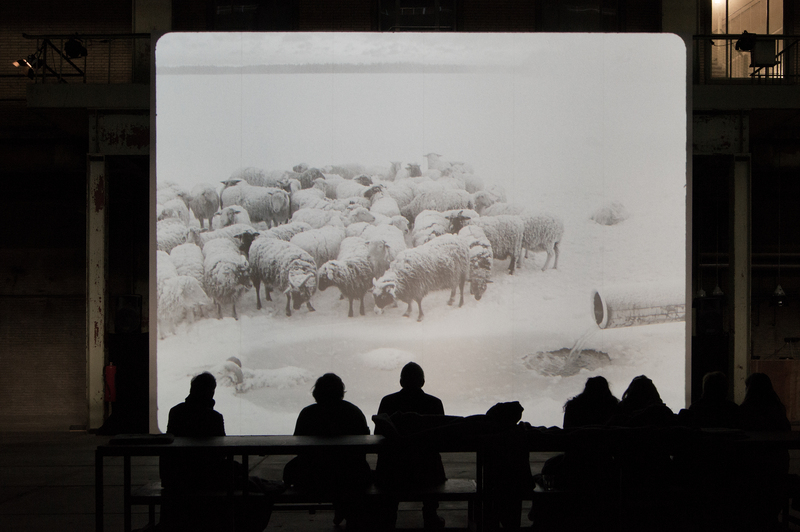 Nightfall, Jeroen Eisinga's latest film, shows a frozen lake. On this lake a flock of sheep is standing around a hole in the ice. A dead sheep lies frozen in the hole. In the distance the treeline on the shore, in the foreground a pipe from which water pours into the hole. Snow falls, slowly covering the sheep. The only sounds are the wind and the water. Night falls. 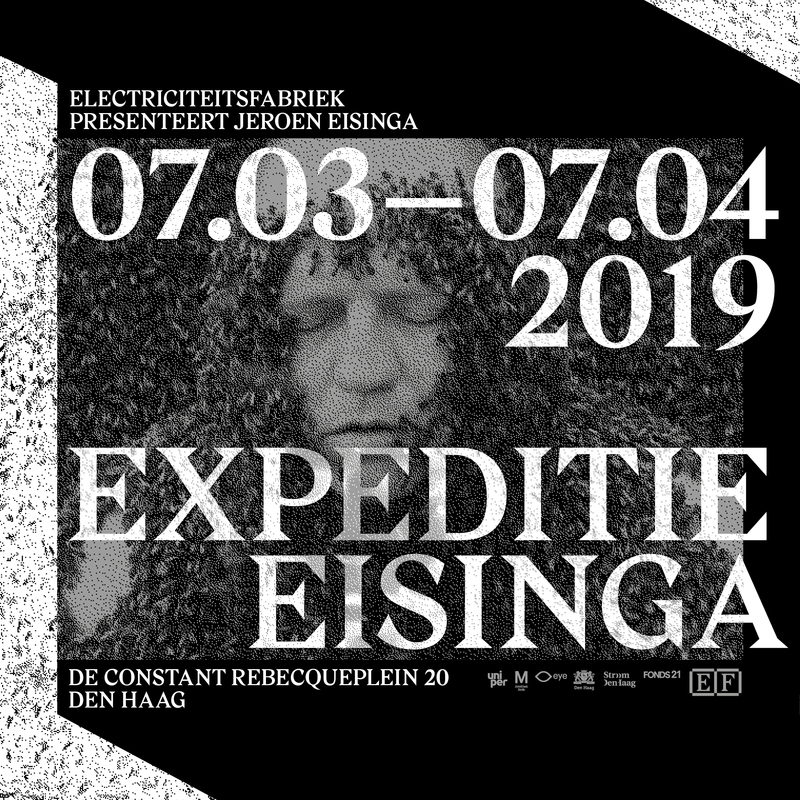 Nightfall is Eisinga's most ambitious film untill now, and the immediate occasion for the exhibition Expeditie Eisinga. 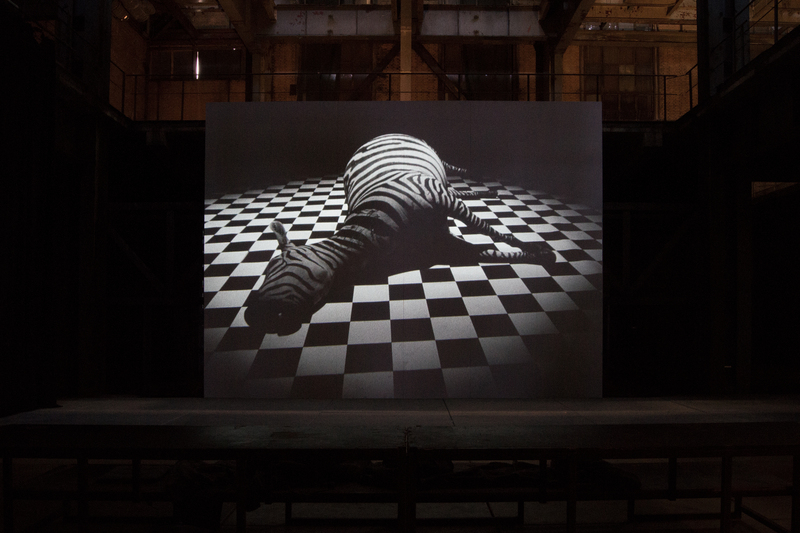 The exhibition shows five black and white films, spanning a period of over 20 years, including the early 16mm film The Sixt Sense, the iconic Springtime, in which the filmmaker is slowly covered in bees, and Sehnsucht, in which a decaying zebra seems to breath with life. The passing of time, duration and the attempt to show reality as concretely as possible are central themes in Eisinga's work. 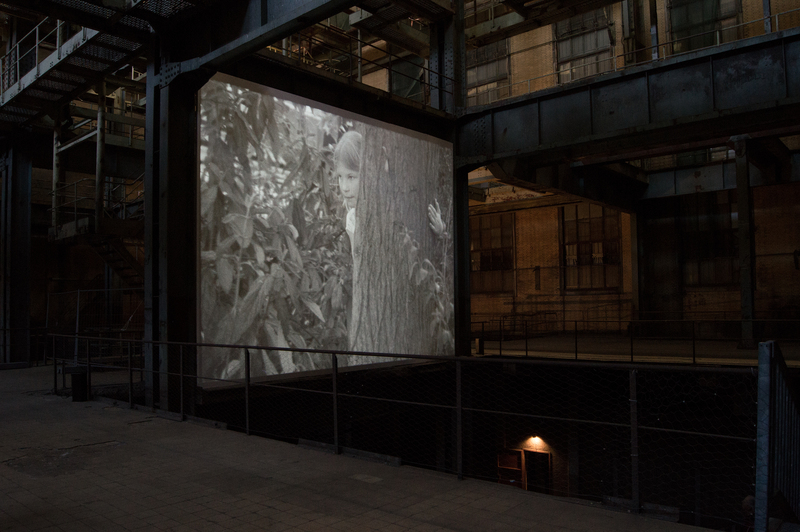 In Expeditie Eisinga, the films are shown as large scale projections that fit the scale of the former power plant. 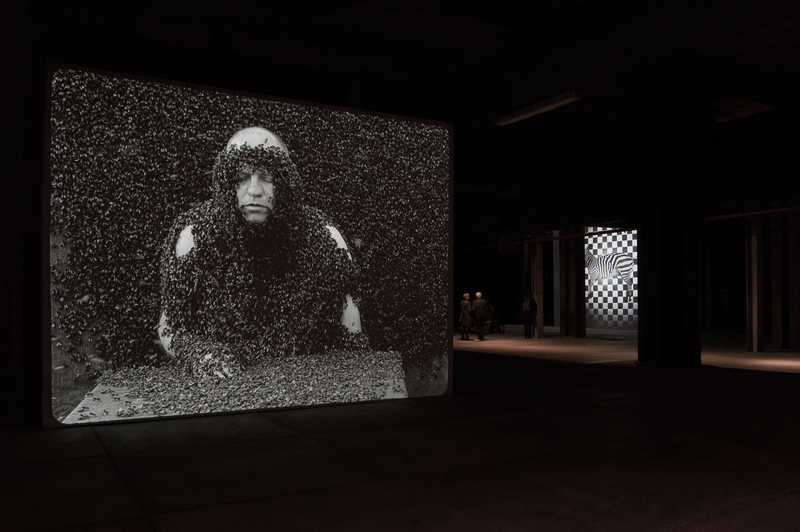 Neither cinema's black box nor a museum's white cube, the setup of the exhibition allows contemplation as well as exploring connections. 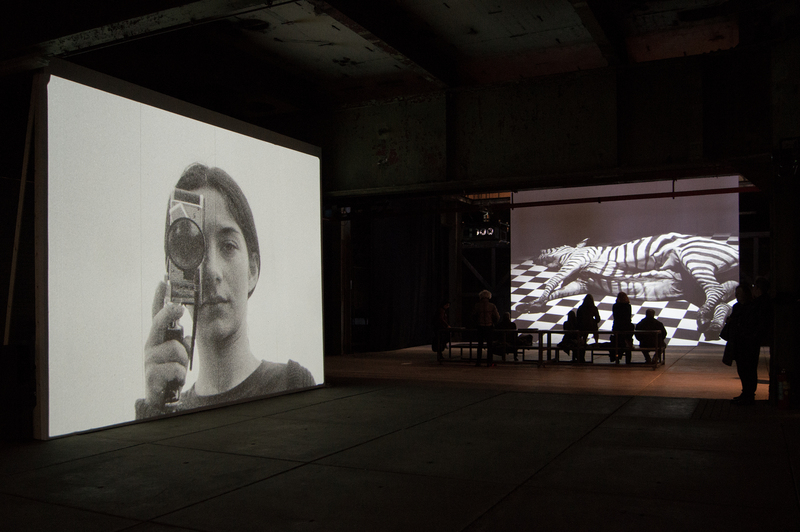 Near/by film was responsible for conceptual advice on the exhibition and the public program, supplying texts on the artistic content for subsidy requests, and technical advice on the projections.